Made this cake last week, and once again I’m just now getting around to blogging it. My apologies for the delays lately. Things are way crazier for me in Kansas City than they were in St. Louis. 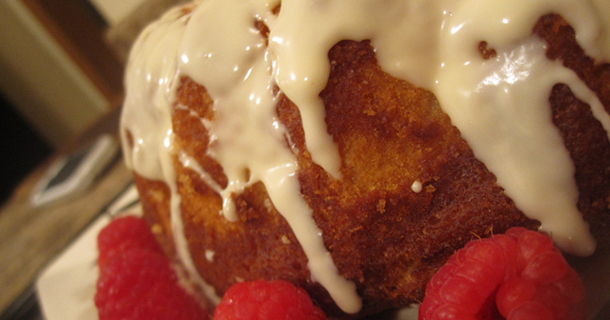 I am actually really ready for the end of the 52 cakes project – I’m so sick of cake and sugar! After I finish the project I think I’ll take a breather for a while, and when I am ready I will start back up with 52 cookies! This cake was given away at a cake walk at my job – I have no idea who won it or what they thought! 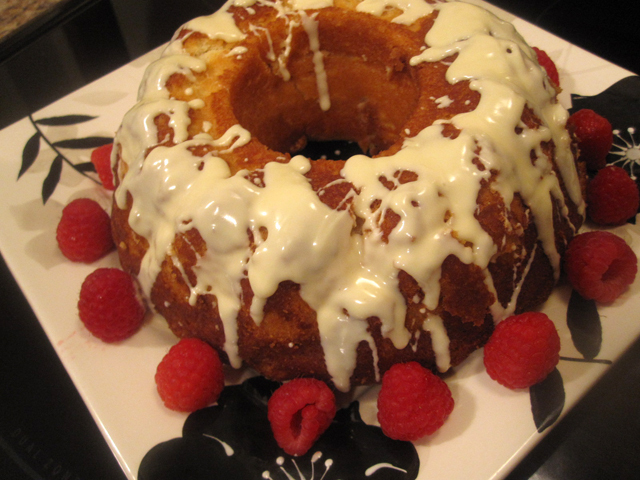 Preheat your oven to 350 degrees, and prepare a round bundt pan. 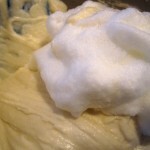 Sift together the flour and baking soda in a medium bowl and set aside. 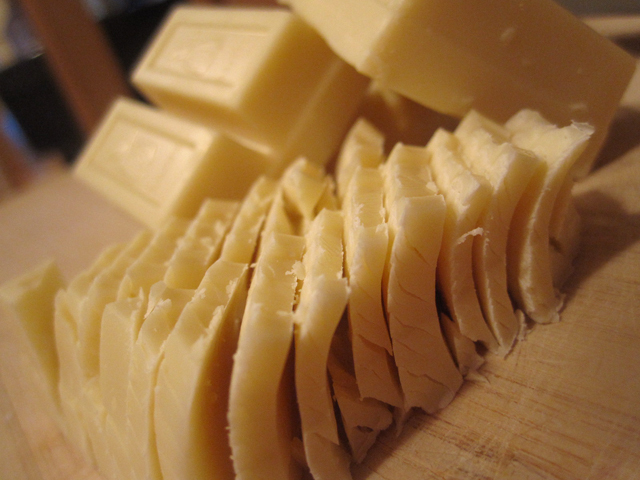 In a small bowl, chop the white chocolate and pour the hot water over it. 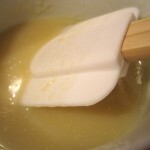 Stir constantly until the white chocolate is melted and the mixture is smooth. Set aside to cool at room temperature. 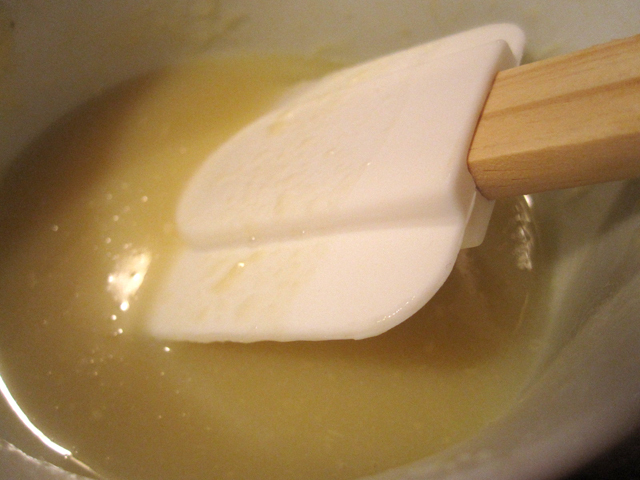 In your kitchen mixer, cream together the softened butter and sugar until the mixture is light and fluffy. Add the egg yolks one at a time. 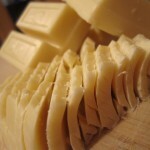 Scrape down the sides with a rubber spatula, then stir in the white chocolate melt and vanilla. Alternate adding the dry ingredients mixture and the vanilla yogurt, beginning and ending with the dry ingredients. Mix just until blended, do not overbeat. 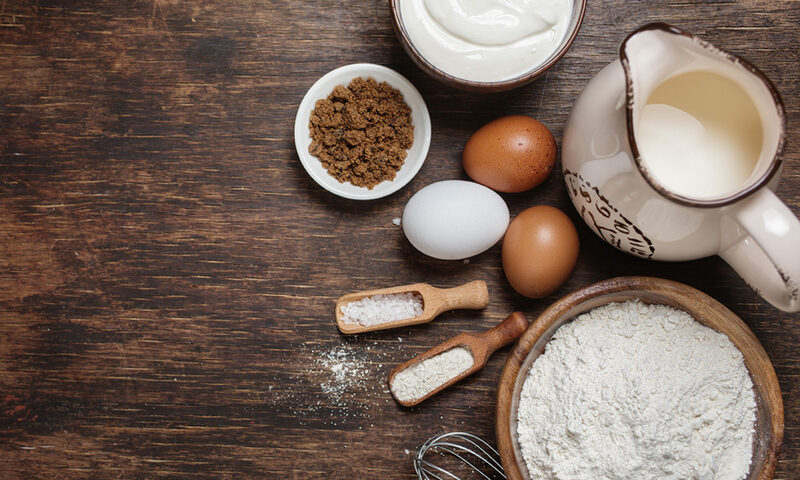 In a clean metal bowl with clean whisks, beat the egg whites until stiff peaks form. 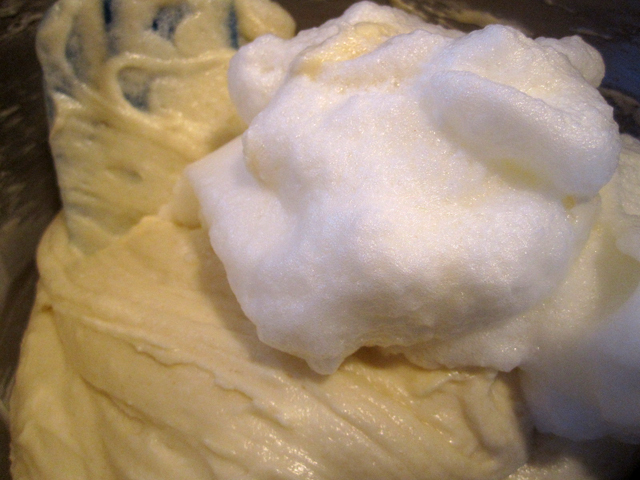 Fold the egg whites into the white chocolate cake batter about 1/3 at a time. 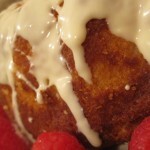 Pour the batter into your prepared bundt pan, and bake for about 25 to 30 minutes. I think it was 30 minutes anyway – I can’t remember how long I baked mine. Play it safe and start with 20 minutes, and keep an eye on it. It should brown on top, pull away from the edges slightly, spring back when pressed and your toothpick tester should come out clean when inserted in the middle. 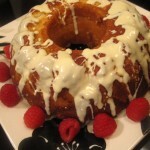 Let it cool in the pan for 10 to 15 minutes or so, then use a knife to separate the cake from the edges of the pan. Invert the pan and let the cake slide out. I melted a little more white chocolate with a few teaspoons of oil and drizzled it over the top, and added some fresh raspberries around the base for some color. This looks amazing! I hope you’re kc pals are enjoying the cakes as much as the stl peeps! Could this be done in a jar? Definitely – just don’t frost/ice the cake!